Every goddamn day: 04/21/19: David Bowie: Bottomless cool you could dance to. David Bowie's son confirmed that the rock star died Jan. 10 after an 18-month battle with cancer. David Bowie helped shape my world. When I was 16, I was a junior counselor at a summer camp in Ohio. We had a small turntable and just a couple records, if I recall correctly: one was Bowie's "The Rise and Fall of Ziggy Stardust and the Spiders from Mars." We played it continually, all summer. By fall I was a Bowie fan, for his flair, the drama of his music—"Ziggy Stardust" is a dark tale of apocalypse and murder, a theme continued on "Diamond Dogs." His bleak worldview helped me navigate the self-generated crisis of adolescence. I remember coming home from high school, putting on the "David Live at Tower Philadelphia" album to the "Diamond Dogs" track, clapping on a pair of headphones and crawling under the desk to listen at full volume. "This ain't rock and roll," he cried. "This is genocide!" I have no idea what that meant, but it sounded good. Plus Bowie was cool, so fabulously hip that just listening to him imparted a bit of contact coolness, even to a chubby Ohio teen with a bowl haircut. The album that came out when I was a senior, "Low," is not his most famous — half the songs are instrumentals, winding, jazzy Brian Eno-influenced numbers. 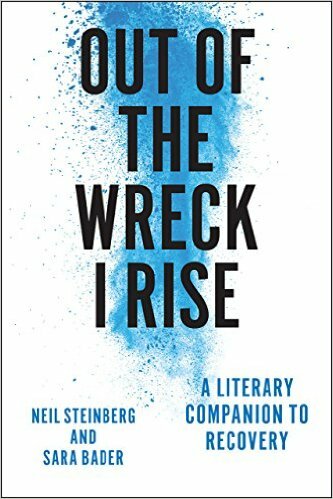 But his "Always Crashing in the Same Car" certainly spoke to me—I wrecked both my parents' cars—and "Be My Wife" certainly did. "Sometimes I get so lonely," he sang. "Sometimes I get nowhere." I only saw him sing once, in 1980. He was touring for his "Berlin" album. In my recollection, he stood motionless behind a synthesizer and never so much as said, "Hello Cleveland!" True to form—he actually disliked having to perform—but also disappointing, as a fan, because Bowie was one of those rare stars, like Bruce Springsteen, who you wanted to look back at you. He never did, an artist lost in his art or, maybe, just too aloof. Bowie kept putting out hit albums. 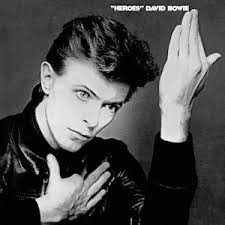 "Heroes" was another one of those songs that was a soundtrack to my life. "You, you can be queen. And I, I'll drink all the time..."
His star kept getting bigger. "Let's Dance" was elegant and sinuous, showing a song could be a hit and have a beat while avoiding the idiocy of disco. And then he just went away, living on some island, it was said, with his wife, the Somali fashion model Iman. Bowie acted in movies—"The Man Who Fell to Earth"—that were strange and wonderful. In recent years, he returned. New music. A retrospective of his life that toured world museums, a living scrapbook, tribute and not coincidentally, record promotion. He always was the consummate businessman. People lined up for hours to see it at the Museum of Contemporary Art in Chicago. I did too, not so much in tribute to Bowie or my teenage self, but because my oldest son, Ross, loves him. The boys grew up watching "Labyrinth," a kid's movie that had Bowie playing a goblin king to a teenage Jennifer Connelly and the Muppets. He did that sort of off-beat thing—he was cool enough to pull it off, whether singing "Little Drummer Boy" as a duet with Bing Crosby, of all people, or recording Prokofiev's "Peter and the Wolf" with Eugene Ormandy and the Philadelphia Orchestra. I remember Ross at 16, playing "Ziggy Stardust" and giving me one of those "What is dad making of this?" looks. I said, "Given that I had that album memorized, word for word, when I was 16, and can sing it for you now, if you're looking for me to be shocked, I'm not." And then I began the album's first song, "Five Years." "Pushing through the marketplace...so many mothers sighing," I warbled, before he begged me to stop. Just Friday we were in Vintage Vinyl in Evanston—records are back; my kids buy 'em. They had the brand new Bowie album, "Blackstar," which came out Jan. 8, his 69th birthday. I held it up for him to admire, though, at $38, that's all he did. "I can get it online," he said. So Bowie, the man, ended his story Jan. 10, to the sorrow of his friends and family. But the musician, artist and cultural figure will continue, so long as there are teenagers looking to see their turmoil reflected somewhere, and adults hoping to borrow a bit of bottomless cool and something good to dance to. A lovely tribute to an amazing artist. Great piece in tribute to a great artist. I wore out the grooves on "Low" my junior year in college. RIP David Jones. Neil, Did you get to see the Bowie exhibit at MCA in 2014? That helped me see the depth and breadth of an amazing creative being. This was a shocker-he just had a birthday and new release. He was pretty creative. I was streaming the new music on the train this morning for the first time when I read the news. The song Dollar Days chorus 'I'm trying, I'm dying' struck a bit too close. Wow...I never even knew he was sick. Bowie broke the mold, all right. Missed the whole Bowie experience. Bill Haley was my intro to rock and roll. Not much of a chore to memorize his lyrics. What an amazing talent, who changed his music, stage personalities and sexual orientation as often as others changed clothes. Bowie was a physical chameleon who perfectly blended with every artistic variation he came up with. I still have my Ziggy Stardust album. Thanks, Neil. Spot on, as always.